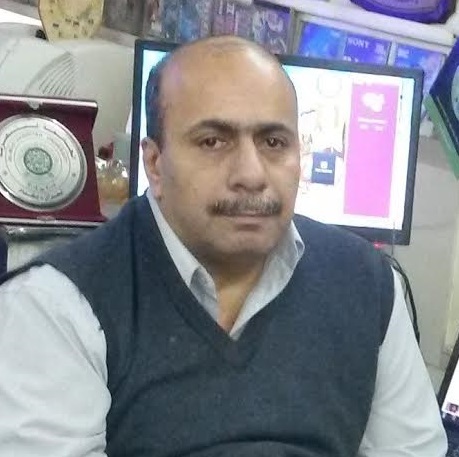 Dr. Amer Saleem Elameer is a Consultant Engineer and an Associate Professor in the University of Information Technology and Communications (UITC) in Baghdad, Iraq. 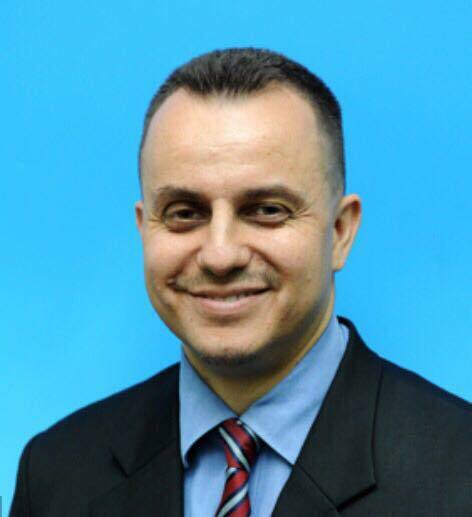 He obtained his PhD degree in e-learning from the Universiti Sains Malaysia (USM), Penang, Malaysia and introduced the ELAMEER-IDRUS Orbital e-learning framework as a major outcome from his postgraduate research; the framework now has taken the shape of an e-education framework for Iraqi education and higher education. The framework software is now being field tested in a private college in Baghdad. He is also a member in the Supreme Council e-learning in Iraq and has more than 20 years of public service in Iraqi Higher Education institutions and the Ministry of Labour and Social Affairs in Iraq. He was also responsible for designing the Iraqi digital social safety network (ISSN) and other ICT projects and a professional programmer in Database and CAI programs with more than 200 soft wares in the field of e-learning. He has presented four Keynotes in Iraq, India, Thailand, and Italy and published more than 50 published work locally and internationally in UK, USA, Thailand, Malaysia, Turkey, Iraq, Oman, and KSA. To date, he is working to establish the National Iraqi e-learning and Training Centre within the Ministry of Higher Education and Scientific Researches in Iraq. Zaid is the Principal Lead (e-Learning & Innovation) and Fellow of the Centre for Medical Education at the International Medical University (IMU) in Malaysia. He is also world famous beyond IMU for his widely read e-learning blog ZaidLearn (http://zaidlearn.blogspot.com/) and his creatively designed presentations on SlideShare (http://www.slideshare.net/zaid). His presentations have been viewed more than 1.6 million times by people from 200+ countries, and he has 15,500+ followers on SlideShare. In 2013, he was ranked the No. 1 e-Learning Mover and Shaker in the World (http://imu.my/1e0Tai5). He also organized the first 1-day online seminar held by a Malaysian University on the 22 May, 2013 (http://lit03.blogspot.com/). In 2012, he hosted the first webinar series to the public by a Malaysian University, which had world renowned speakers in online education (http://imuelearning.blogspot.com/p/imu-learning-webinar-series-2012.html). The production cost for this webinar series was zero ringgit. In 2008, he was part of the first evaluation team to audit and evaluate universities in Saudi Arabia for their e-learning implementations. He is also an AKEPT trainer and a member of the National e-Learning and MOOC Committees (under KPM) in Malaysia. Rozinah Jamaludin is the Deputy Director of Centre of Development and Academic Excellence (CDAE) at Universiti Sains Malaysia. She started her career in USM since 1994 until now. She graduated with her PhD degree from RMIT Melbourne in e-learning. Her major is in e-Learning and Web Design and Development. She has publish many books and research, publications, and supervised many postgraduates students. She is also the Master Trainers for Higher Education Leadership Academy (AKEPT) and Malaysian Qualification Agency (MQA) assessor for both public and private university. Besides training and giving keynote speeches, her passion on internationalization and globalization with the Asean counterparts like Cambodia, Laos, Vietnam and Myanmar (CLMV) countries, Thailand, Philippines and Indonesia. She is also very much involved in the Student Centred Learning approach and have conducted training to both public and private institutions. Prof. Dato Dr. Haji Ab. Rahim Bin Haji Selamat (DMSK, DMM, DSM, AMN), Konsultan UNESCO, Ahli Panel PPPM2013-2025, Tokoh Guru Kebangsaan 2011, Tokoh Guru Melaka 2005. Najwa Hayaati Mohd Alwi is the Coordinator of Content Development Unit at the Global Open Access Learning (GOAL) Centre in the Universiti Sains Islam Malaysia (USIM). She is also a senior lecturer in Information Security Assurance Program at Faculty Science and Technology, USIM. She had obtained her PhD from Cranfield University, UK. She is a member of E-learning Council –MEIPTA, certified trainer for 1Citizen programme and panel reviewer for Trainers’ ICT module - JLKN 2015. She has also made presentations and provided training on digital content development such SIM, OER and MOOC as well as Social Engineering. She has a high interest in strategic level of information security management focusing on people perspectives. Her research and publications are mainly crossed fields between e-services (e-learning) and information security. She also has experiences in conducting socio-technical researches.